Rendering of Fallen Sky by Sarah Sze © Sarah Sze; Courtesy of Storm King Art Center. MOUNTAINVILLE, NY.- Storm King Art Center announces a new, site-specific commission that will be added to its permanent collection: a sculpture titled Fallen Sky by artist Sarah Sze. The new work by Sze will consist of a delicate and entropic 36-foot-diameter spherical cavity pressed into the earth and sheathed in mirrored stainless steel, and will occupy a location just below Storm Kings iconic Museum Building that has been chosen by Sze in consultation with Storm Kings curators. 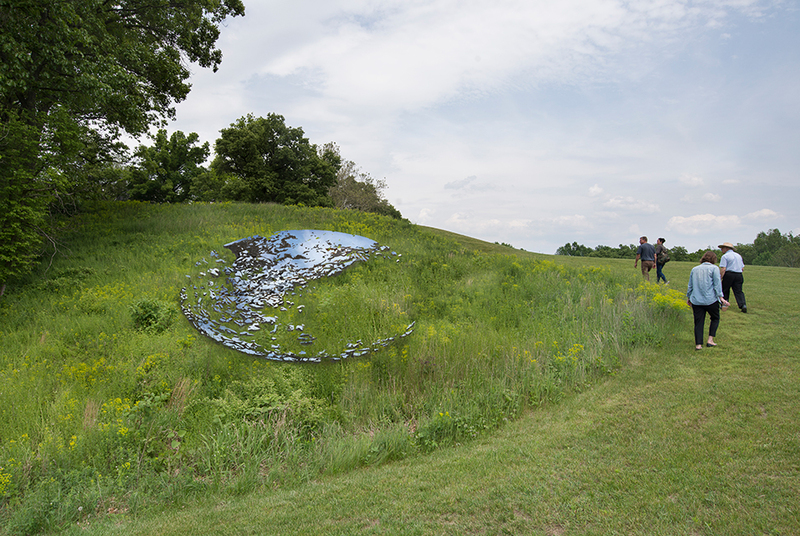 The large scale and shimmering surface of the sculpture will allow it to be seen both up close and from far away across Storm Kings rolling fields. The announcement of the commission was made on October 9, 2018, at Storm Kings Annual Gala, where Sarah Sze and James Ottaway, Jr. were honored with the Storm King Award, which recognizes meaningful contributions in the fields of visual arts, landscape, and nature conservation. It is the first Storm King commission in nearly a decade, since Maya Lins Storm King Wavefield was completed in 2008, and is part of a series of site-specific commissions for Storm Kings permanent collection, which also includes works by Richard Serra, Isamu Noguchi, and Andy Goldsworthy, among others. Waddesdon Manor asks "Have you got a Hodgkin at home?"